I am SO fed up! And, I fully expect this article to get slammed by the faint of heart, the political correctness police, and anybody else who can’t accept a good, honest rant! 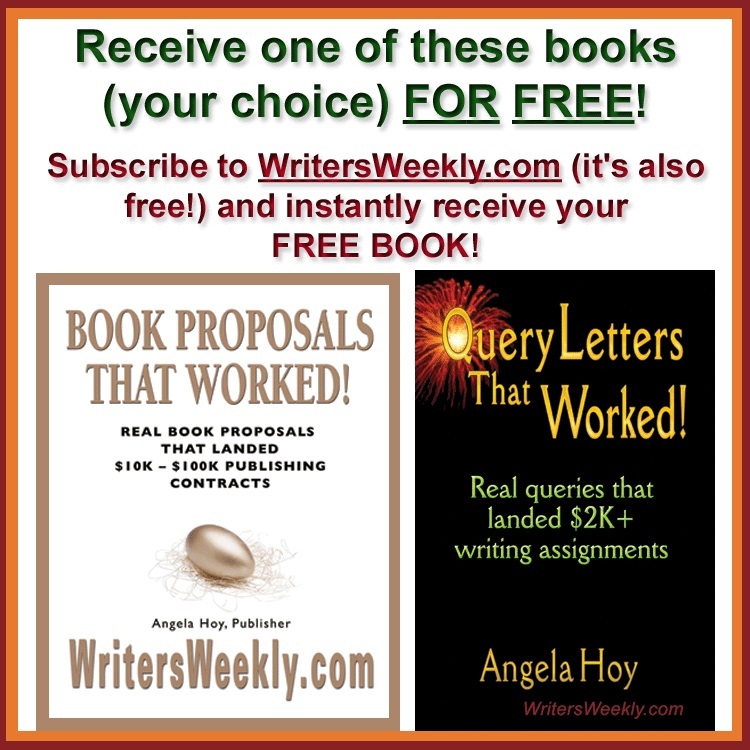 While we have always received numerous inappropriate query letters from writers over the years, I grew tired of individually teaching every rejected writer how to better query a publication. We took steps in 2015 to further assist those who really want to write for us. We started soliciting queries via our online contact form to avoid sp*m filters. After we did that, we kept getting queries from people who hadn’t read our guidelines. So, we added a link to our guidelines on the site, directly above the contact form. The “please read these guidelines first” part is a live link, and in a red, bold font. AND, ALL OF THAT STILL DIDN’T WORK! I can’t remain polite any longer! Every single day, I get one query letter after another from writers who use that form, yet DO NOT BOTHER TO CLICK ON THE GUIDELINES! I don’t know how much clearer to make it. So, I am publishing this article for all future writers who send inappropriate query letters to us. 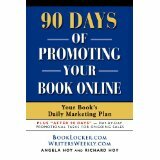 Rather than individually coaching each writer about appropriate techniques, and rather than deleting their inappropriate queries without a response, I will simply respond to their queries by copying and pasting a link to this article. Other publishers and editors are warmly welcomed to do the same. 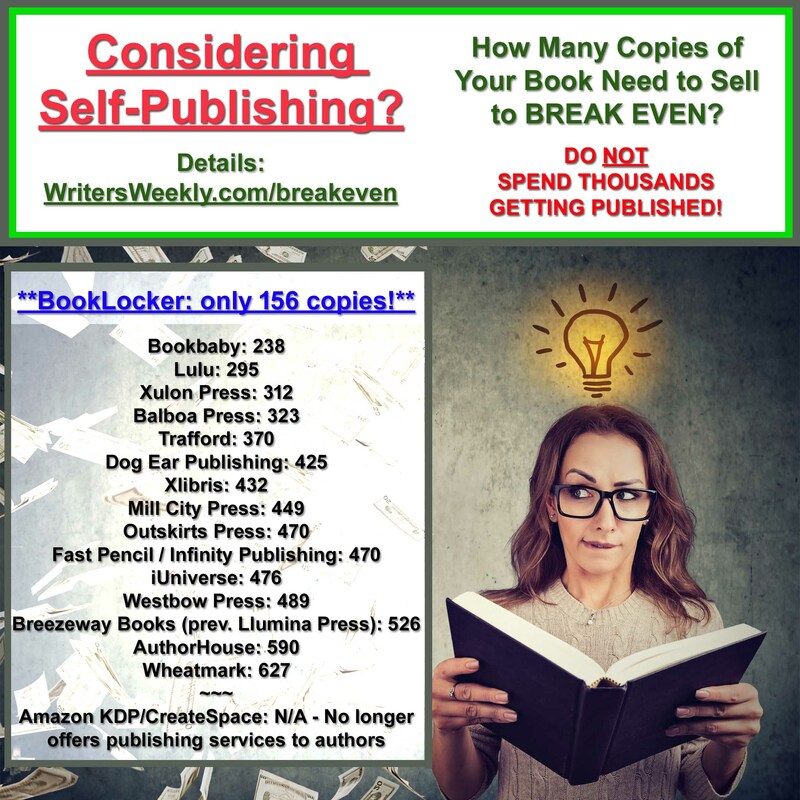 I understand that you want to make some extra money, or that you want to be a writer, or both! But, for the love of the written word, please stop what you’re doing and read this! 1. You sent us a query letter about a topic that has no relation whatsoever to writing or publishing. 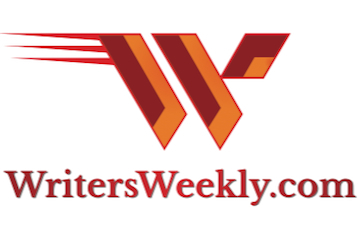 We are a publication for writers and authors and we publish articles about writing and publishing. We do not publish articles about petroleum reserves, or the current political climate, or the latest celebrity sighting. We don’t publish poetry or restaurant reviews. We also don’t publish travel stories, or crafting essays, or coverage of your local school board meeting or high school football game. PLEASE RESEARCH ALL MARKETS BEFORE QUERYING. Otherwise, you have wasted your and the editor’s time. 2. Other editors are thinking this but they’re all too afraid to say it…SO I WILL! Based on the misspellings, sentence structure errors, and inappropriate punctuation in your query, it appears you have a very poor grasp of the English language. We are an English-language publication. While we frequently work with folks who are located in other countries, we can only accept work from those who have mastered the English language. If you have not, you should ask an English-speaking friend to check your work before submitting it to an English-language publication. I’m sorry if you find this offensive, but I would never offer to write for a foreign-language publication if I had not yet mastered that same foreign-language. Neither should you. 3. Based on the query you sent, it appears you have mastered the English language, but your spelling and/or grammar skills are horrible. Please always use spell-check and grammar-check before querying. Remember that spell-check and grammar check do not catch all errors. If your skills are weak in the areas of spelling and grammar, have a professional writer friend look over your queries before sending them out. 4. You sent us a query letter that contains missing punctuation and/or incorrect punctuation. If you can’t punctuate correctly, you really need to take some classes before you can become a successful freelance writer. 5. Based on the query letter you sent, it appears the shift key may be broken on your keyboard. But, it’s far more likely that you were just in too much of a hurry to use two fingers simultaneously on your keyboard. If you can’t capitalize correctly, you can’t write for me, nor for other serious publications. 6. Based on the query letter you sent, it appears the space bar may be broken on your keyboard. But, it’s far more likely that you were just in too much of a hurry to edit your query before you clicked send. Or, perhaps you just didn’t care. Remember that editors usually delete error-laden queries rather than waste time responding to them. If you want to be a serious writer, be serious in all your correspondence with editors. 7. Your query letter is asking us what you need to do to write for us, or asking what we specifically need at this time. When you sent your query using the form on our website, there was a prominent statement about writing for us, along with a link to our writer’s guidelines. Wouldn’t it be faster for everyone involved if you’d read that before you contacted me? Always research a publication’s writer’s guidelines before sending a query. 8. Your query letter was addressed to “dear sirs.” I am not a “sir.” I am a woman and I own this publication. While I understand that sexism may be rampant where you come from, it’s not so common here. There are millions of women business owners in the United States. Addressing a query to “dear sirs” is offensive to me, and to many other women publishers and editors as well. If you have queried other publications, and received few or no responses, I suspect you have made these errors with them as well. If a writer can’t be bothered to research a publication (or to even read the name of the publication, which usually indicates the genre of that publication), writers can’t expect an editor to take the time to seriously respond to them. To see NUMEROUS examples of inappropriate queries, CLICK HERE. 42 Responses to "If This Article Offends You, You’re Not a Professional Writer By Angela Hoy"
Do grade schools still teach English spelling and grammar? I ask this seriously, as I’ve seen thousands of sentincezlike this. It drives me batty when I do it by accident. Does the above example give you the feeling of fingernails on a chalkboard?…because it’s exactly how it makes me feel! You rock! In other words, are direct and to the point. And, that is what I admire most about my publisher. Well, I also think you are a sweet person and a great mom. I will be sure to check, and double check, my manuscript for spelling, punctuation, linguistic errors and all before I submit. Six illustrations to go! YAHOO! PATIENCE IS A VIRTUE. …while all the points mentioned are pure, simple, common sense! Now, really, Angela –I’m dying to know whether your pasting the link to this post in your email responses will be effective for future queries. I’m not a bit offended by this article. In fact, it was the first thing that made me laugh today. I tried to edit an anthology once and nearly lost my mind dealing with inappropriate or just plain horrible submissions. Never again. Have a good day! Bravo Angela! I can understand your frustration and your rant covers most of sins committed by freelance writer wannabees. I think that social media, texting and smartphones are responsible for poor spelling and grammar in general. People have gotten lazy about their writing skills and figure that most can comprehend their messages even with errors. Hey Ang. I have only one thing to say besides I love how you can yell almost as loud as I: HEEEEEEEEEKKKKKKK!!!!!!! Yes, yes, yes! I advertise for an editor to work for me at my company, and I get a thousand emails from people who can’t spell, and don’t know how to follow the CMOS. The random submission letters are worse. One lady, under the impression I can make her movie, has sent me an email a day with her awful script attached. She continually calls me Susan. When I blocked her email she used a new one. She thinks I am missing her email somehow and once I do see it, I will reply. The follow-ups are embarrassing. “Did you manage to look at my submission yet?” No, I am unable, despite two decades as a business owner. Thanks for checking if I could “manage.” That’s not the reason I didn’t reply, buster. I used to reply to say no thanks. One lady replied to my rejection: “Hello Dear. But Why?” After that I gave up. Bravo! You said it so well. I am inundated with queries from people who have not mastered the English language. I found out the hard way that a few are native to the U.S. I think you have finally given me permission to stop wasting my time. Why won’t they read directions? Geez! Angela, I can identify with your frustration. Your “rant” vibrates with the clarion bell of truth. A decade ago I quit trying to get people to improve their writing. First, they take it personally and go into a pouting stage. Second, they couldn’t care less. It’s like beating the proverbial dead horse. If they haven’t respected commas and periods by age nine (and the difference between your and you’re), trying to help them is a lost cause. Keep up the fight! Latina survives brutal attacks, transcends to spiritual triumph through love. Angela, Wow! Finally someone willing to take a stand and say how they really feel about an issue. I applaud you 100%! You’re right-anyone who gets upset by this article has no business submitting articles. Everything you list is just common sense. Hurray for telling it like it is. It will only get worse – the education system is a great contributor to the problem’. It’s annoying beyond words. It’s the MAIN reason I am CLOSING my business shortly. I am so fed up with people who ask stupid questions when the answers are right there in front of them. Great idea to forward along this message rather than to waste your time with people who refuse to follow guidelines. Now, what you will do with all those saved hours? Something fun I hope!!! I am not a professional writer yet, but I have been exposed to these issues by several writing instructors. A little reminder, now and again is a good thing. Thank you!! You go, girl. I began smiling at word one and was chuckling out loud by the time I got to “Numerous other errors.” And of course I HAS to check out the examples of inappropriate queries. They are always hilarious. The density, arrogance, and sense of entitlement displayed by so many ignorant people never ceases to amaze me. Thanks for the rant, Angela. Well said. That’s one of the downsides of the Internet — it’s become too easy to query. When you had to actually type out a letter, address an envelope and take it to the post office, there was more of an investment required in that letter. Also, you couldn’t randomly send it to 1,000 people at once, which I think is part of the problem (like the Facebook friend requests I often get that are written in some other language). As a former magazine editor, I applaud what you wrote. When your would-be questioner submits your form, pop-up another form. It has item 1 of your gudelines and cannot be dismissed for X seconds. The user has to click a check box to say they have read item 1. Once X seconds has elapsed AND the checkbox has been ticked, you display item 2 of your guidelines … and play the same game. Do this for each item of your guidelines or questions that you want them to take a moment to consider. Because the pop-up displays each item for X seconds, there is a reasonable chance that the serious people will go through the pain so you don’t have to. You might also want to put this at the beginning of the process (before they complete the rest of the form. 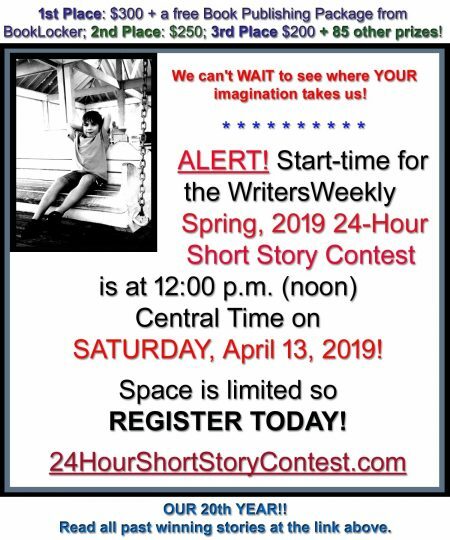 Warn them it is coming but, that way, you will demonstrate that you are respecting the time of those who will go on to make quality submissions but who have forgotten to check something. 02. Create a hidden input on your form. This ONLY gets populated with a value if someone ticks all the checkboxes. The form then checks for the right value in the hidden input. No value, no submission. That should deter all but the most committed nutters! This is a rant that has been waiting to be written for far too long. In our ‘Internet World’ everyone is an expert regardless of his/her level of education. However, there is a difference between British English and US English and I get very annoyed when A US American tries to correct my British English. Oh Angela, you did make me smile! I love the fact you will be directing ‘failed’ submission authors to this post. It seems very appropriate on the day when Britain comes bottom of the class in literacy standards! Thank you Angela! This was so funny and witty at the same time. It’s time to stop the madness. Dear Ma’am, You tell em! Only kidding Angela, well said and written. I wish newspaper publishers lived by these common sense rules. It pains me to read a paper these days. Well shucks, I was looking for an article that would offend me. It didn’t! After three days of editing a book that averaged over 50 misspellings, punctuation and grammatical errors per page, the writers decided to pull it back because they “found” some errors and wanted to make fixes themselves. I wonder if I could borrow a few of your points for my queries? Thank you for clarifying your expectations so comprehensively. You rock! I see your well-supported rant, and I raise you one approving head nod. Me again. I just finished reading some comments from postings on Facebook about the current debate. Most of the writing is as bad as that in those horrible query letters. Makes you wonder just how many people out there have decent writing skills. If I were to guess just from the FB postings I skimmed, none of them had rudimentary writing skills! Sad! I’ve never understood the problem with honesty in the face of total incompetence. For instance, the subjects of the gold standard, flat taxes, and waste in government are NEVER argued by serious economists. Except, perhaps, to tell people who want to discuss these subjects to go back and take Acctg 101 and Econ 101. Those subjects are only argued about by people who don’t know up from down. The same goes for people who have no grasp of grammar or expression. I’m 66 yrs old now and these days, if someone tells me they are going to jump off a cliff, I just say, “Suit yourself. See you later.” Life is WAY too short. If I must write a letter of explanation, I send an invoice for consulting services along with it. Taste truly affordable & fine wines! Angela, glad you are getting favorable responses to a much needed angst release. I truly feel that it is your company, your rules, your party. You are providing a much needed service and honestly do not need to explain yourself. It is your passion for accuracy that makes this article necessary and I for one am glad that you take the time to let us know our shortcomings. I know I need the guidance and have learned a lot these past couple of years. Thank you Angela! Love it! Angela, you are SO right. In fact, you have inspired me to do the same thing with a service I offer. My top pet peeve is companies that obviously have employees who cannot read. They never answer the questions I have asked in clear English in my email. Such companies waste my time, as I have to respond to tell them to reread my email, sometimes up to six times! I do believe that some or a lot of the people you have highlighted as horrible are people who text. Even emails are indicative of the lack of writing education in schools and colleges. I have a nephew who wrote just one paper in four years of college! The teachers themselves are extremely deficient in writing skills. The teachers are not educated enough to tell their students that texting shorthand is unacceptable in business. I am sure you heard about the dumbing down of the SAT exam, with the new version starting in March 2016. Goodbye to critical thinking skills and original writing. When the standards can’t be met, no problem–just lower the standards, which is exactly what they did with the SAT. More people like you need to tell these people their writing is deplorable and they need to improve their writing. But alas, I fear the former group is as uneducated as the later group. LOL — I get dozens of these a week! I have created a form letter — Gmail has a “canned responses” feature which is perfect for this — that I use. But there are days when I get so mad getting yet another query that reads like it was written by a two-year-old on a cellphone — no punctuation, no capitalization, weird abbreviations, and no concept of grammar. I’m particularly unlucky because my publication has the word “business” in the title, so I get a lot of pitches for everything even remotely connected to business — on top of the generic ones. But hey, maybe it’s working out for them. For all I know, there are a bunch of blogs out there on the Internet that don’t believe in grammar or punctuation, and are using these writers. And then, with practice and experience, they’ll work their way up to blogs that, say, have discovered capital letters. And maybe — who knows! — spell checkers! This is a great article, Angela. Using this tool should save you time to respond to and work with writers who do all of the mechanical things right but whose submissions don’t quite meet the quality standards for WritersWeekly.com. LOVE IT! I’m sure other editors will appreciate using the link in their rejection letters. I hate to tell you this, my dear Angela, but you are a feminist. (I say that in an admiring way.) It’s obvious you believe in respect-based equality, which is what feminism fundamentally is (or should be) all about. Anyone who bashes you about this article is obviously NOT a professional writer. Maybe you should add a point #9 to clarify that. So are you saying that I shouldn’t click send on this? i have alot of experience posting on facebook about my Dog, would you like me to write a dog article 4 u. Seriously, I feel your pain. I don’t have a publication, but I’ve been hiring writers for the past couple of years – and sometimes I’m appalled at the way people fail to follow directions in job postings, as they do with your instructions for querying. Angela, this is so refreshing!!!! Thousands of editors and site owners have these thoughts, but you expressed them! Awesome!